Welcome to The Salvation Army Community Church in Cheltenham. We are a growing, vibrant church with a deep desire to actively demonstrate and communicate the love and power of Jesus Christ in our community. We believe that Christianity is more about ‘relationship’ than ‘religion’. We would be pleased to serve you or welcome you into our church fellowship irrespective of your background or beliefs. 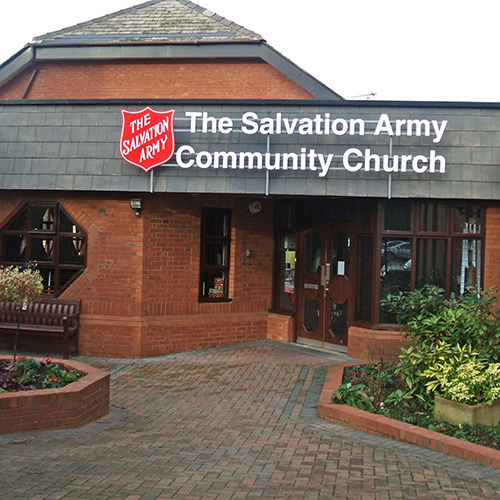 Everybody is equally welcome and valued at The Salvation Army Community Church in Cheltenham. We meet every Sunday at 10am – come just as you are; leave transformed! Families with children, from tots to teenagers, are very welcome and accommodated for. There is a crèche with leaders and helpers at hand, as well as sessions held elsewhere in the building specifically children and teenagers. These sessions usually commence 15-20 minutes into the main meeting. Tea and coffee is served after the meeting.